The LX9610 is a 22V, 12A Power Module designed for step down point of load applications. This device includes a voltage mode synchronous controller including the compensation network, internal power MOSFETs and the output inductor all in a 15mm x 15mm QFN package. It can operate with an input voltage from 8V to 22V. The output voltage is adjustable from 0.8V to 5V using a single external resistor. It has an internal 5V regulator.The only other components needed to make a complete 12A DC to DC converter are a 4.7uF decoupling capacitor for the 5V regulator, and the bulk input and output capacitors. Other features of this device are internal digital soft start, thermal shutdown and hiccup mode current limit. The unit can be enabled or shut down through the COMP/EN pin. Over current sensing is accomplished by measuring the voltage across the Rds-on of the low-side MOSFET. Current of the OCP pin of the IC multiplied by resistance of the OCP resistor (residing on the pcb inside the module) sets the OCP threshold. An external resistor can be used to reduce the OCP threshold. The LX9610 is package in a thermal enhanced, compact over-molded module with a length, width and height of the power module are 15mm x 15mm x 4mm. 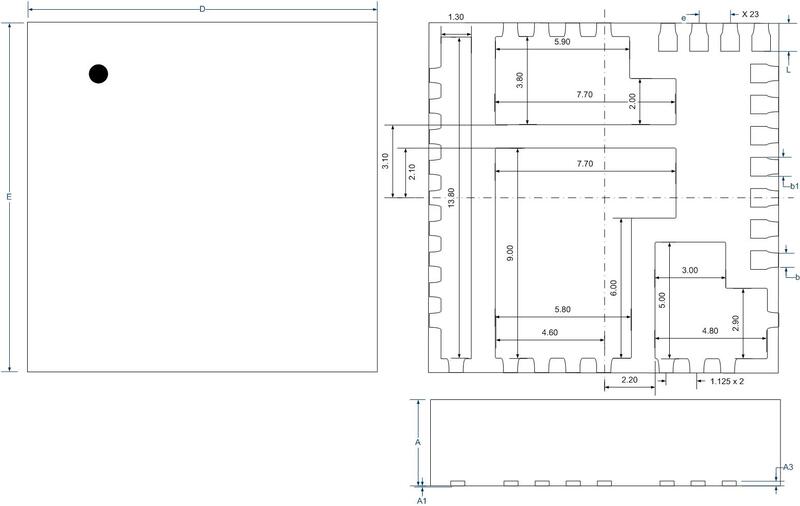 This package is suitable for assembly by standard automated surface mount equipment. Fully integrated 12A Power Module Requiring Only Input/output Caps and Few External Components. Integrated Upper and Lower N-Ch MOSFET’s.